Micro fine quality chalk. Airtight container with pouring spout. 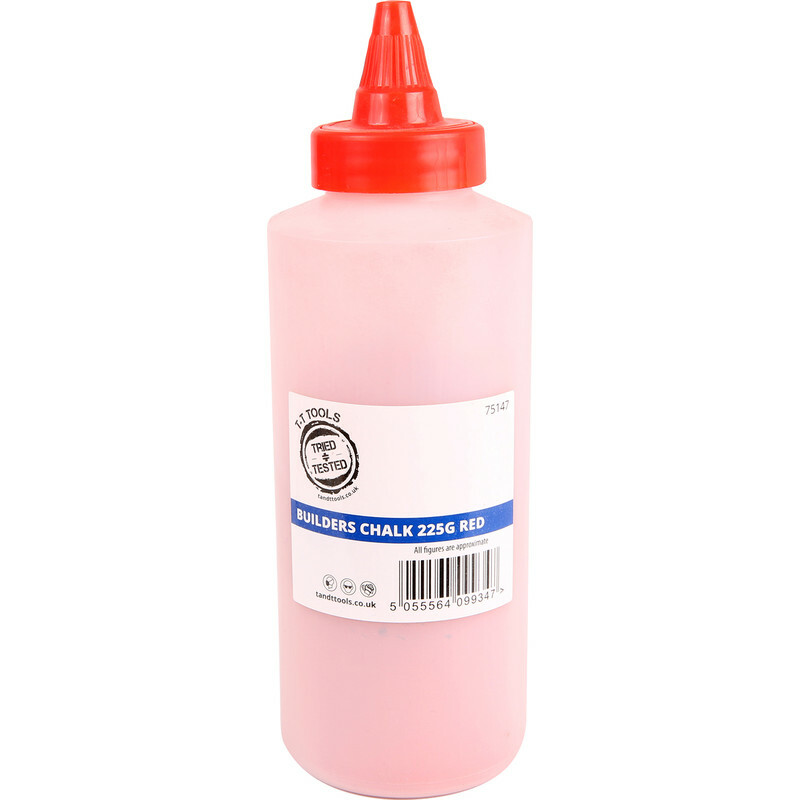 Builders Chalk 225g Red is rated 4.8 out of 5 by 5. Rated 4 out of 5 by 134kej from Builders chalk . Exactly what I required. Slight problem with the bottle cap. Ca Can sometimes be awkward to get Chalk out. Oth Otherwise a good product. Rated 5 out of 5 by ian b h from builders chalk I purchased this item a month ago, I was very pleased with the quality of the chalk did the job. Rated 5 out of 5 by keeeeeeeeeeeeef from It's chalk It's just chalk. It would be pretty hard to screw this up.